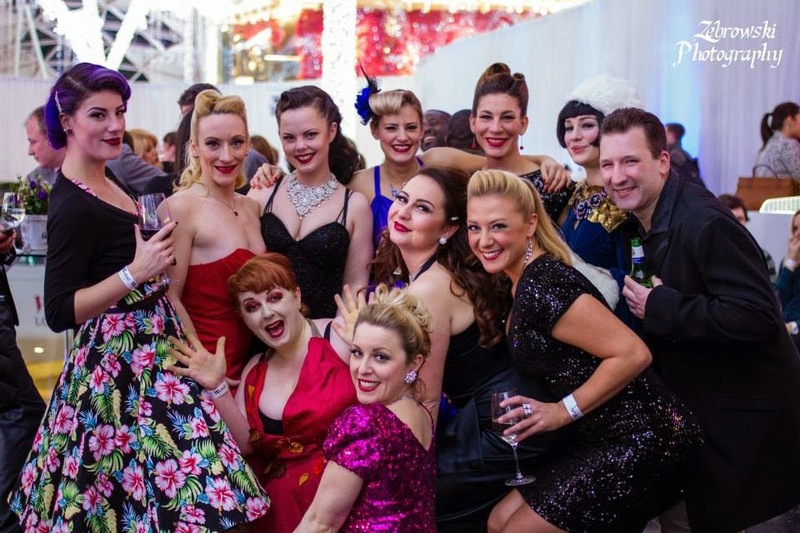 The show will be at Bush Hall, Shepherds Bush from the 4th - 8th February 2014, with two shows a night. 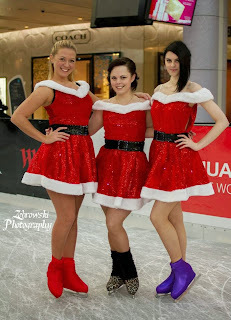 Featuring top show skaters including Hollie Deller: who was, among other accolades, Scottish Solo Ice Dance Champion, Primary British Pairs Champion, and a member of 'Holiday On Ice' for three years; and hosted by Scarlet Sparkle and the inimitable Joe Morose alongside the creme de la creme of the UK Burlesque industry, including Vicky Butterfly, Gwendoline Lamour and Ruby Deshabille! 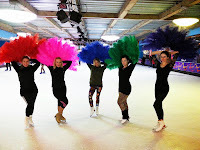 Since the auditions in June, everyone has been hard at work - skating at least three times a week, juggling work, shows, rehearsals, filming, travel, childcare and life to attend lessons with our producer Sam Jenkins, and our coach and choreographer Sarah Christou. 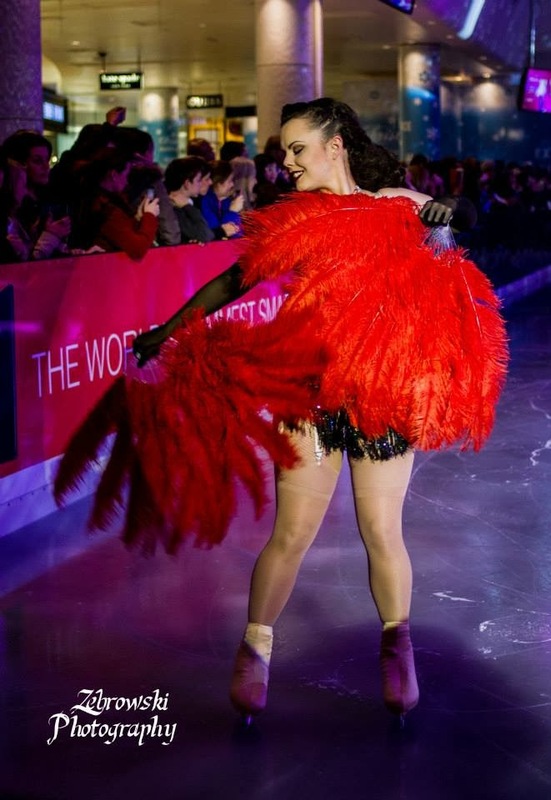 In January the cast goes in to intensive rehearsals, in preparation for show week; learning and blocking choreography, both solo and group numbers, rehearsing acts for the stage and the ice, and finalising the script and show run. It's going to be insane and exciting and stressful, but ultimately worth it as we take over the beautiful Bush Hall for a week in February and combine, for the first time, the glamour and seduction of Burlesque with the breathtaking skill of Figure Skating, and mashing it all together with comedy, song, dance, drag, magic, and lots and lots of swarovski crystals! Not my skates, unfortunately, but a girl can dream! So - as an homage to the last six months of rehearsals, I present my picture (and video) montage of the cast of Burlesque On Ice! Glorian Gray and I off to auditions in June! 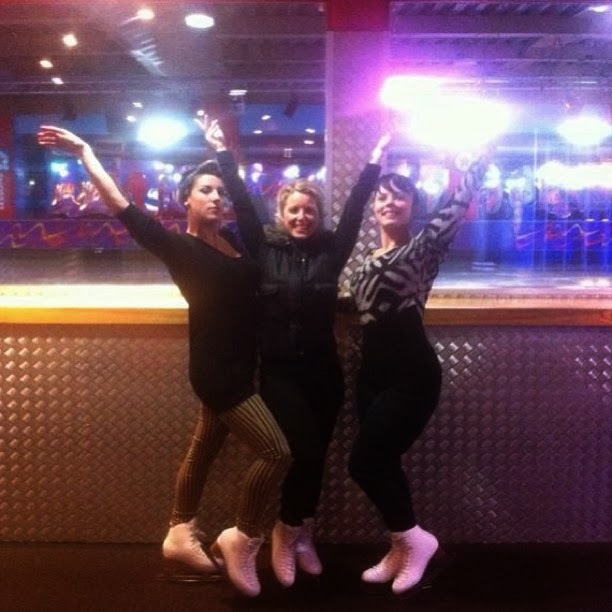 Queens Ice Rink - my second home for the last six months. 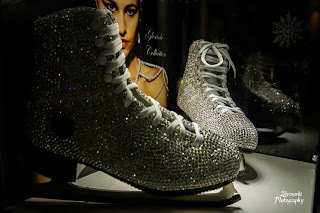 Shiny new skates, ready to hit the ice! 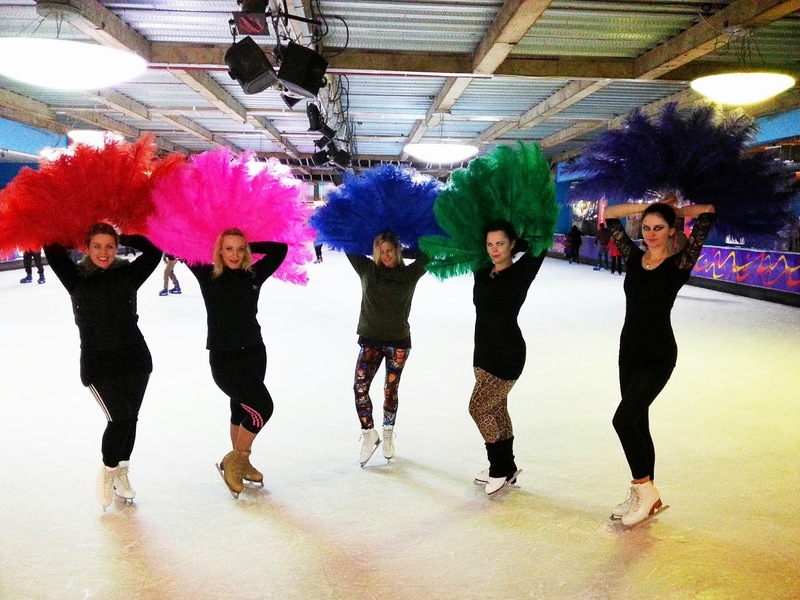 Showgirls on Ice! With Jasz Vegas and Felixy Splits! 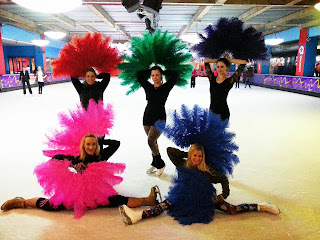 Playing with fans on ice: with Felixy, Hollie, Bonnie Fleur and Ruby! First public performance at Westfield London! 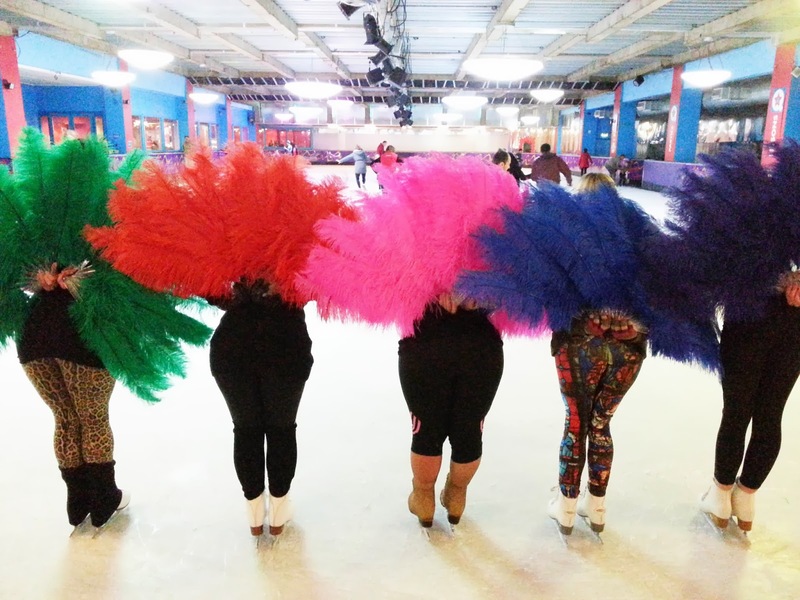 Burlesque On Ice teaser video released! 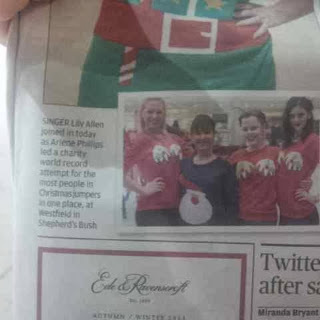 And the London Evening Standard! It's been an exhausting, emotional, exciting journey so far; I'm looking forward to what the next six weeks brings as the culmination of all of our hard work and dedication will show its rewards. I've found it incredibly challenging on so many levels: learning a completely new skill that is so alien to anything I've ever done has been exceptionally difficult, and for the longest time I didn't feel as though I'd ever get the hang of it. Sometimes even staying upright was a toughie! I've had to contend with old injuries and issues from my dance training days flaring up again, and learn to use my body in a different way. I've dragged myself out of bed to get to the rink at 7a.m. some mornings to get extra practise in before daytime commitments (and I am not a morning person! ), or for promotional work for TV and media. And I've had to re-learn how to work as part of a cast rather than a solo performer once again, putting what I want behind what is best for the end result, and keeping the bigger picture in mind rather than any individual wants. There have been bumps and bruises on bottoms and egos; arguments, giggles, cuddles and wine; we have ended up in a cast pile-on more times than I can count; there have been face-plants, spectacular fails and wonderful moments of achievement; we have progressed, as a cast, from barely being able to go forwards without wobbling to jumping, spinning, and putting on a massive show. I've made some amazing new friends and built up friendships with some I only knew as acquaintances. I love it. It's something I never even imagined I'd get the chance to do and I'm so excited for what I know will be the most brilliantly bonkers show I've ever been part of, and the most fabulous show of 2014!